The 27-year-old's effort was his fourth goal of the season, and arguably his most important having got the Blues back on level terms on aggregate. And the shy midfielder hardly even celebrated. 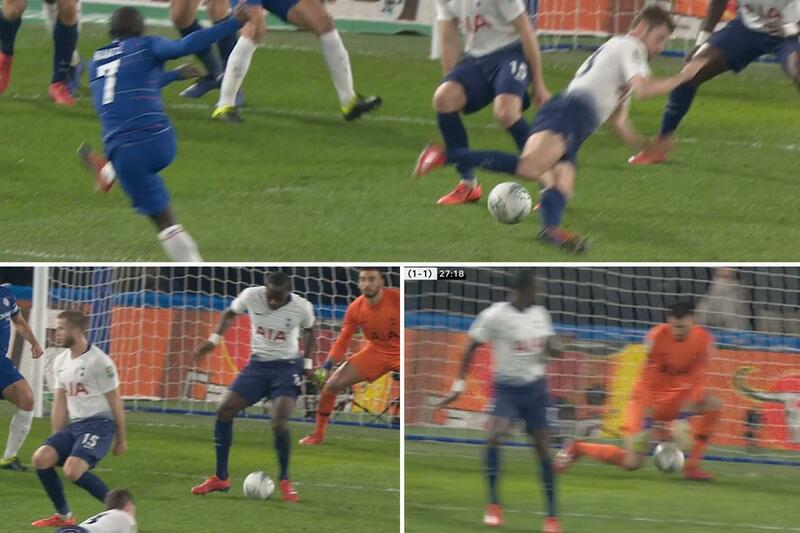 Maurizio Sarri's side went into the semi-final second leg tie trailing 1-0 following Harry Kane's penalty at Wembley. But Kante fired Chelsea ahead at Stamford Bridge after running on to a loose ball on the edge of area. His fearsome low effort flashed through the legs of Ben Davies, Eric Dier and Moussa Sissoko who all failed to clear away the shot. Paulo Gazzaniga – replacing Hugo Lloris in the starting XI – was unable to react in time, as the fizzing strike proved too hot to handle, with Kante jogging back to his own half. The World Cup winner has played in a more offensive role since Sarri succeed Antonio Conte. He also already netted the same amount of goals as Jorginho, Callum Hudson-Odoi, David Luiz and Marcos Alonso combined. Eden Hazard then doubled Chelsea's lead in the 38th minute after he guided his first time shot into the bottom left corner. But Fernando Llorente netted just after half-time for Spurs, who are seeking their first trophy since beating the Blues in the League Cup final in 2008.